In recent years indoor cycling has become one of the most popular classes at the local gym, promising to help you shed pounds in a fast, effective way. More often than not, you come out sweating profusely thinking you have had a ‘hard’ workout when really you have only trained an aerobically, depleting the body of protein instead of burning carbohydrates (the stuff that leaves the dreaded bulge around the waist and gluts). The con is over, and FREE Heart Rate monitoring during Spinning® sessions is here at last. 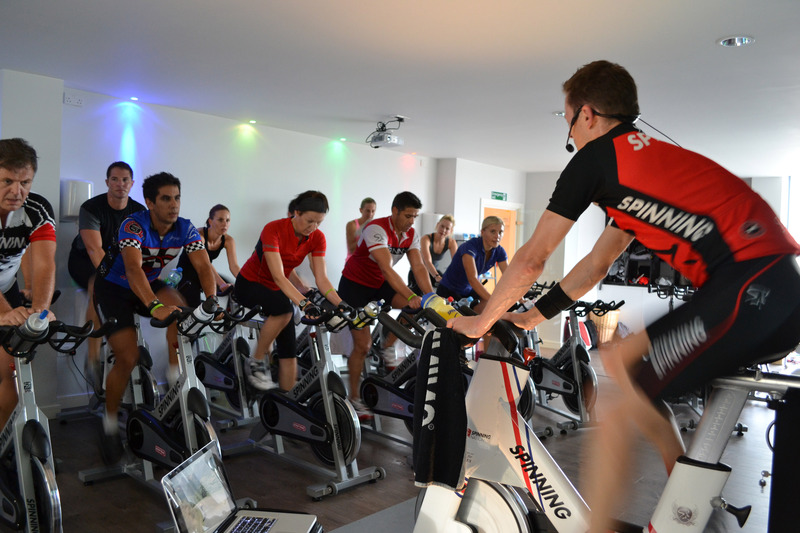 Pedal Studio®, a Pay As You Go only studio, now in Wimbledon (also in Putney) is pioneering the way, offering every rider free set up to the Suunto Heart Rate monitoring system. It ensures that a controlled intensity class is delivered, and you can reach your fitness goals sooner than you think. Each rider wears an individual, discrete monitor and is able to track their Heart Rate throughout the class, even receiving a workout feedback summary on email or to their very own unique web profile afterwards! Exercising in this way keeps you training in the correct, known ‘zones’ & thus results focused. Exercising in this way can help many areas of the body, particularly the respiratory system. Maintaining your Heart Rate within various training ‘zones’ requires controlled breathing, subsequently facilitating the ability to reduce heart rate more quickly after exercise. It takes a few weeks of regular training to see a marked improvement, but it is guaranteed & anyone can start at any level of fitness. This technique can even be used to help control stress levels, which is particularly useful when living a busy London life! This is no ordinary form of exercise and Pedal Studio® accommodates every rider from the seasoned tri-athlete to the rider who does not even own a bike! Pedal Studio® is also no ordinary gym and has a great offering to all new riders of £12 for 7 consecutive days ride access to get you orientated and used to the different instructors and classes. Its all PAYG, there are no contracts, instructors are real cyclist who are highly qualified coaches. It is a Spinning® only studio so we are specialist at delivering your ride. It is fun and friendly and you are likely to meet new friends not only in class but at the social events (boat cruises included). With our existing branch in Putney, our new branch now opened in Wimbledon and with further branches in Hammersmith, Richmond and Clapham over the year ahead, you are likely to be Spinning® ‘locally’ in the summer of 2013!